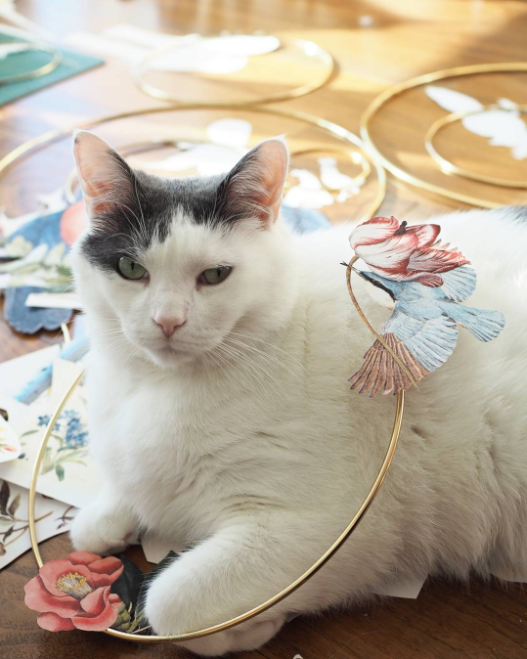 We couldn't resist sharing this submission from artist Kristina Corre, partially because we have a thing for cats. We were even more impressed with her gorgeous collages and we know you will love them too! "A lifelong love of drawing and imagining new worlds led me to study architecture at Carleton University's Azrieli School of Architecture and Urbanism, where I graduated with my Master of Architecture in 2012. Architecture school taught me the importance of narratives in image making and meticulousness in my craft. These two incredibly important lessons are currently driving my latest explorations with handcut collage."